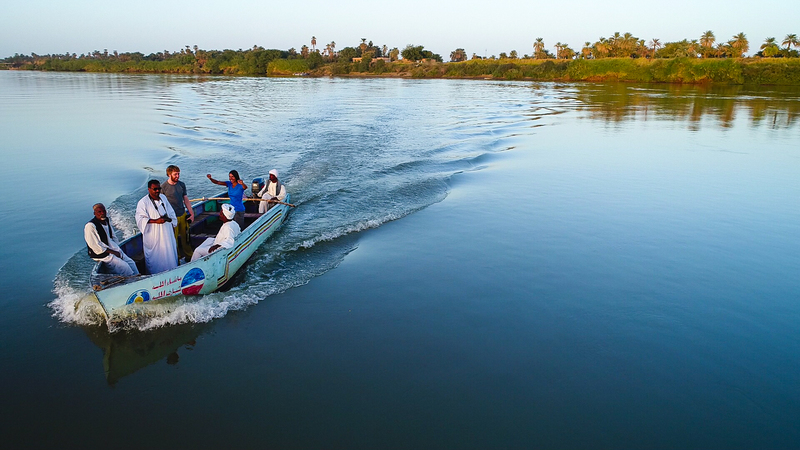 We found ourselves in a nearby village of Dongola, Sudan, gliding across the Nile in a wooden boat. This is a usual affair for the locals but what made this trip special was the DJI Phantom Drone following us (you can watch the drone video footage below). Abdel took us to his home where his family fed us like kings and queens. You can read about our stay with him and his family here. He is also obsessed with drones. In fact, he is not just obsessed with them, he is excellent at photography and videos. But, you can judge for yourself – check out his Instagram account. After we met his family and got a tour of his village, he introduced us to his slick DJI Phantom Drone. 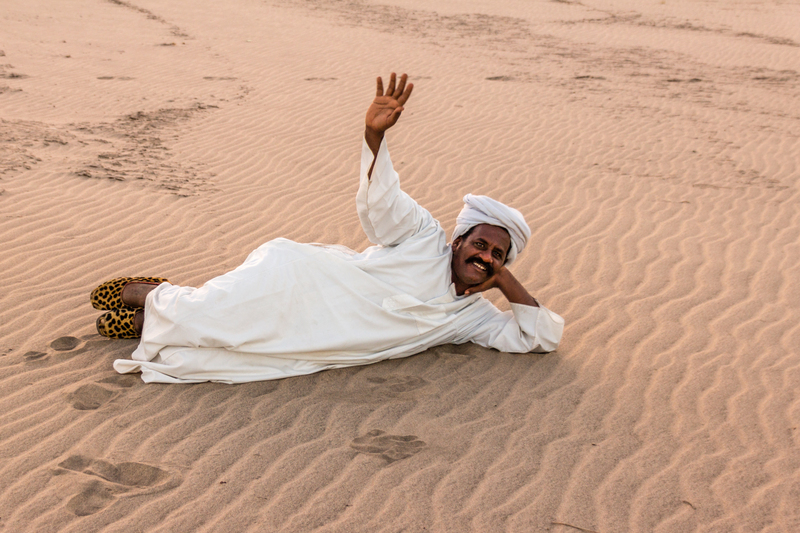 After we ate a locally grown, delicious meal, Abdel and his brother, Ibrahim, took us on an adventurous, bumpy ride on desert roads. We drove towards the Nile, stopping once to push the car over a sand bump. The bank at this part of the river was untouched. A boat came across the river to pick us up. We eagerly hopped on and what followed was a ride towards the setting sun on the wide open Nile. Green palm trees lined the banks and it was hard to imagine Sudan was one big desert. You can check out the video of our boat ride below. The boat reached the sand banks on the other side of the river. The sun was hiding below the horizon and we enjoyed taking some funny photographs and posing for the camera. Two eagles also had fun as they dived down, trying to attack the drone. Ibrahim’s leopard print shoes hinted at his prankster personality and I had to smile every time I saw them peeping out from his long white robe. While every day is an adventure on this trip, we had to stop to appreciate the moment. 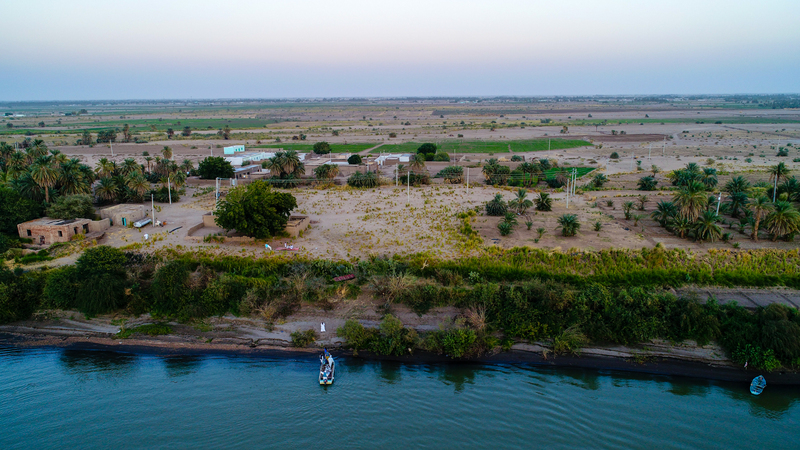 Here we were – in Sudan – in a tiny village – on a boat – crossing the Nile – followed by a Phantom drone. What?! It was such a random and beautiful experience and something we never thought we would experience in Sudan. The moments you live when cycling through Africa. The moments we will never forget! For more photos from Sudan, see here.